Educated at Glasgow University, he was apprenticed to his father, the builder Peter Shannan, and began work as a builder and architect. He was responsible for construction of sanatoria in the Cameroons, West Africa, and the State Buildings, Texas, USA, before taking up sculpture. After training at NATS and studying in Paris, 1885-94, he returned to Glasgow and quickly established a successful career producing portrait busts, public monuments and architectural sculpture. The Ross Taylor Memorial, Kelvinside UF Church (1909, now Oran Mor), and the seated statues of Mrs Isabella Elder, Elder Park, Govan (1905) and Lord Kelvin in Kelvingrove Park (1913), for which he produced three alternative models (a standing version is in GMAG ). The monument to Phillip Baudains, St. Helier, Jersey (1897); the memorial to William Nicholson, Kirkudbright (1901); the statue of John Barbour on SNPG , Edinburgh (1905); and the Professor John Wilson (Christopher North) Commemorative Plaque (1905); a memorial to Lord Provost Cochran, which has since lost its portrait medallion (1906); and the Dunn Memorial Drinking Fountain (1910), all three of which are in Paisley; and the James Duncan of Benmore Memorial, Kilmun (1905). In 1911, at the height of his career, he became involved the with one of the city's historic sculptures and the rehabilitation of its sculptor's posthumous reputation: the copies of Walter Buchan 's Trial by Jury frieze (City and County Buildings, Wilson Street, 1842), which had been placed in the High Court, Saltmarket, in 1844, and which were scheduled for destruction in the Court's later reconstruction in 1910-13. Condemning this as an act of vandalism, Shannan copied the frieze as a group of plaster panels and exhibited them to much public and press interest at the RGIFA in 1911, before presenting the casts to the new court, where they remain. Years later, during World War II, three of Shannan's own important works were destroyed. These were the bronze figures representing Immortality (or Glory), Fame and Success on the twin towers and north entrance porch at Kelvingrove Art Gallery (respectively), whose removal was deemed necessary as an air raid precaution in 1940. These exquisite 'Glasgow-style' figures were ruthlessly cut down on the orders of the museum's Director, T.J. Honeyman, and later scrapped. In 1999, a call was made to have copies or modern replacements for the statues included as part of the proposed restoration of the building (Saturday Times, Gary Nisbet: The Art of Success, 10 April, 1999), but this was rejected as 'inappropriate'. The spandrel figures, putti frieze and portrait busts on Govan Town Hall (carved by James C Young ) for Thomson & Sandilands (1897-1904), the spandrel figures on the Parish Council Offices, 266 George Street (1900-02, also by Young and Thomson & Sandilands); and the group representing Prudence Strangling Want on the tower of John Keppie's Parkhead Savings Bank (1908-9). A member of the Glasgow Art Club, he was elected ARSA , 1902, and exhibited regularly at the RA , RSA and RGIFA . Shannan died at his home at 36 Buccleuch Street, on 28 September 1915, possibly from an injury he sustained a couple of years earlier when he was run over by a cyclist. 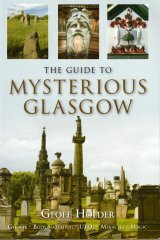 The sculptor was buried in his family lair in the Southern Necropolis in the Gorbals, where his headstone lies toppled on its back and covered with moss - a sad fate for the monument to an artist who produced so much splendid sculpture for the city's buildings and public places.